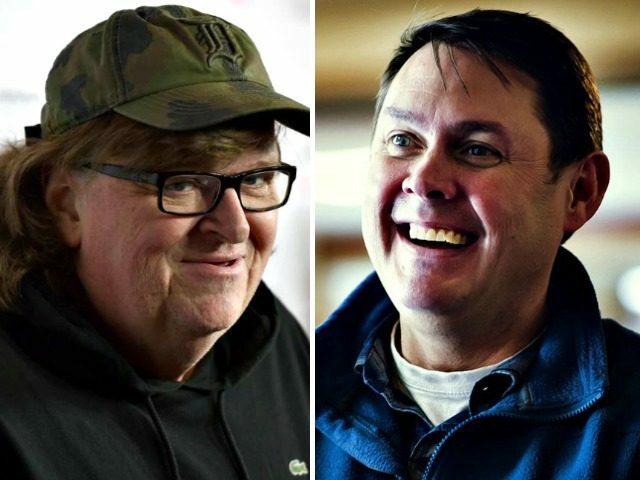 Left wing filmmaker Michael Moore is backing progressive Democrat Matt Morgan’s challenge to Rep. Jack Bergman (R-MI-01) in Michigan’s First Congressional District. Breitbart News lists this race as one of 63 must-win GOP-held seats in the House of Representatives, and rates it “Looking Good” for Bergman, the Republican candidate, a former Lieutenant General in the Marine Corps who holds the distinction of being the highest ranking military veteran ever elected to Congress. Bergman has a strong conservative voting record during his first term in Congress, and has backed President Trump’s agenda. Moore, whose ex-wife listed a home they once owned together in Torch Lake Michigan for $5 million in 2015, has contributed $2,700 to Morgan’s campaign, according to Federal Election Commission records, and is doing all he can to encourage his socialist progressive pals to help. “I have a personal favor to ask of you. I live in a Congressional district in Michigan that is represented by a ridiculously cruel Republican who votes for everything Trump, including last week’s Trump tax increase on the middle class. Up until a few years ago, this was a Democratic district. Then we got gerrymandered,” Moore wrote on his Facebook back in December. His name is Matt Morgan. He is a solid progressive Democrat who is for single-payer universal health care, believes in strong controls on banks and Wall Street, is for the Equal Rights Amendment for women, and is committed to closing the income inequality gap for all Americans. Most of all, he can win. Matt is not only a 46-year old progressive Democrat, he is also a retired Marine Corps Lt. Colonel and an Iraq War vet who has seen first-hand how a bloated, misguided Pentagon budget takes much needed money and resources away from our schools and infrastructure needs. He is a Marine who believes in peace, and that the use of arms should only be the absolute last resort and only when it involves the true defense of this country. Matt believes that the best way to strengthen this country is to make sure everyone gets a great education, has the chance to have a middle class job, and is able to aggressively fight against climate change and all who are destroying our environment. But perhaps the most important (and bravest) thing I’ve heard Matt say was when he told a packed house in Traverse City last month that “every voter must understand this isn’t just your typical Congressional election in 2018. Make no mistake about it — you are electing the jury for the impeachment trial of Donald J. Trump.” Wow. Yes! Yes we are. The “ridiculously cruel Republican” to whom Moore is referring is Bergman, who retired as a Marine Corps Lieutenant General in 2009. He was elected to the House of Representatives in November 2016 and is currently serving his first term. Moore’s description of President Trump’s Tax Cuts and Jobs Act, signed into law in December, as the “Trump tax increase on the middle class” is belied by the facts and the huge increase in economic growth since the law went into effect. Morgan was disqualified to appear on the August 7 primary ballot as a Democrat due to a technicality, but qualified to appear on the November general election ballot as a Democrat after he received about 29,000 write-in votes in the primary. Over the past year I’ve developed a great respect and admiration for @AbdulElSayed. His passion and leadership will continue to influence this party, and I’m excited for his future in Michigan politics. 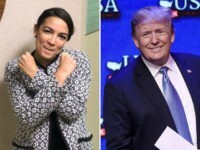 Morgan fits part of the formula Democrats are using in the selection of House candidates this year: Attractive, younger military veterans who hide their opposition to President Trump’s policies and the certainty that they will vote to impeach him if Democrats take control of the House and they win their election. In contrast to other successful candidates who fit that formula–Rep. 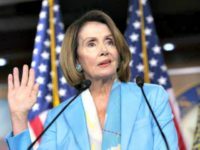 Conor Lamb (D-PA-19), for instance, who won a special election in March by appearing to embrace President Trump’s policies and distance himself from Nancy Pelosi, Morgan is going with the full on Michael Moore-style attacks on the president’s policies. But Morgan’s progressive policies are so far left, voters in the Upper Peninsula and the rest of the First Congressional District may find them too far gone. Take, for instance, Morgan’s socialist “re-envisioning” of the Preamble of the Constitution. The Preamble says nothing of the sort. Bergman has raised slightly more money than Morgan, but both have a significant amount of cash on hand. According to the most recent reports filed with the Federal Election Commission Bergman has raised $943,000 and had $466,000 cash-on-hand as of July 18. Morgan has raised $779,000 and had $288,000 cash-on-hand as of that date. Despite his far left policies and support from Michael Moore and other left wing activists, and the enthusiasm generated around his write-in campaign, Morgan has a far distance to go between now and November 6 to unseat Bergman. Bergman handily won his 2016 election, defeating his Democrat opponent by a 55 percent to 40 percent margin. The district has a Republican +9 Cook Partisan Voter Index.